Winter is upon us here in Massachusetts! We’ve already seen our first snow storm, Thanksgiving has come and gone, and now we find ourselves nearing the cold and flu season. This leads many of our patients to ask, is cannabis a good remedy for the common cold? While there is no cure for the common cold, there are a number of benefits of using cannabis to relieve symptoms of the common cold or flu. THC in the cannabis plant is known for its anti-inflammatory and pain reducing properties as well as being a natural sleep aid. Cannabis also helps with headaches and migraines, which are common symptoms of a cold due to sinus pressure. At Bask, we’re always searching for ways to incorporate cannabis with other natural remedies. That’s why we’ve created medicated THC infused honey sticks with 10mg THC per stick just in time for cold and flu season. Patients can easily consume the THC infused honey right from the stick or can add it to tea, coffee, yogurt, dressings/marinades, granola, etc. See below for our favorite cold remedy beverage! Why Use Honey for Common Colds? Like cannabis, honey is an excellent choice for natural medicine due in part to its ant-inflammatory and anti-bacterial properties. Honey is also loaded with antioxidants, which help fight off free radicals in your body. For thousands of years, honey has been used as a natural medicine dating back to the Ancient Egyptians and Ayurvedic medicine. One of the most common medicinal uses for honey is for treating symptoms of the common cold including cough and sore throats. The World Health Organization also recognizes honey as a natural cough remedy. A recent study found that patients reported more relief from honey than over the counter cough suppressants. Doctors believe this is because of the high viscosity in honey. Honey is also naturally soothing and is used in Ayurvedic medicine for stress and sleep conditions like insomnia. Another benefit of honey is that it can be used as a natural sweetener, which makes it easy to incorporate with a number of food and beverages. At the onset of a cold, this warm beverage can soothe and heal a sore throat, reduce coughing, body aches, headaches, and a number of other symptoms. 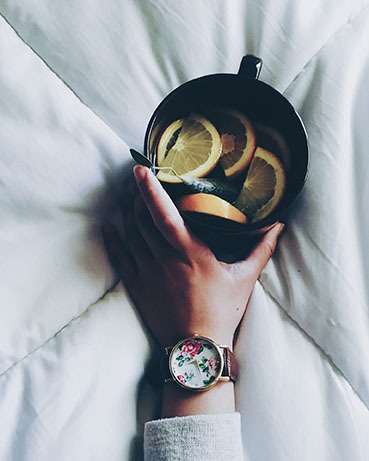 Lemon is great for the immune system because it’s packed with Vitamin C. Ginger helps with upset stomach, nausea, vomiting, and can help warm you up from the inside out while you fight the common cold. 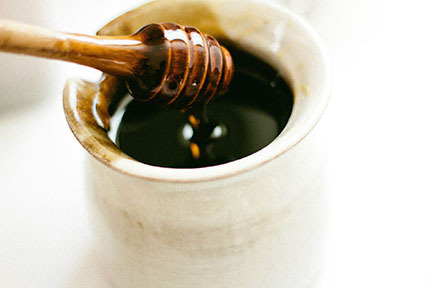 Honey is a natural anti-inflammatory, anti-bacterial, is packed with antioxidants, and is a natural cough suppressant. THC is a natural anti-inflammatory, reduces pain, helps with sleep, and reduces headaches and migraines. These ingredients used together create a powerful vitamin-rich, antioxidant, immune boosting beverage that can help get you through cold and flu season this year. Grate ginger and add to one cup of boiling water. Let steep for 3 minutes. 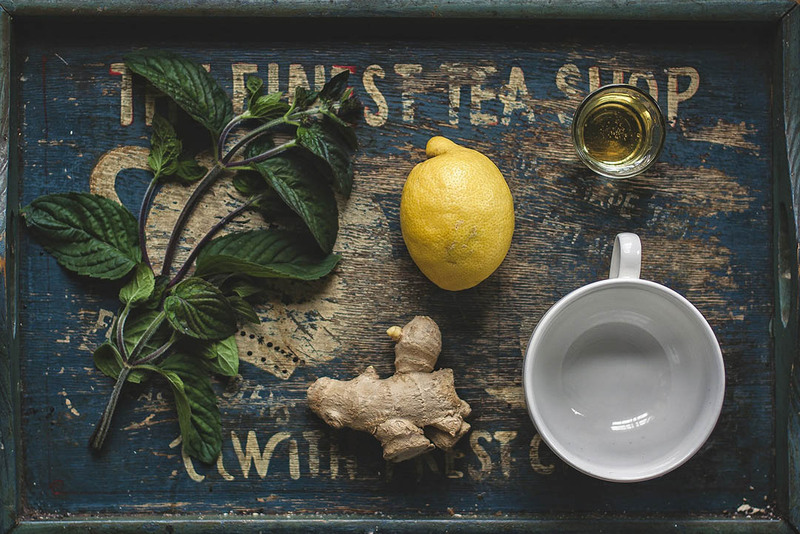 Strain through a fine mesh strainer or use a loose leaf tea infuser for the ginger for easier cleanup. Add lemon juice and THC infused honey after straining water. Sip and enjoy. *Please note, it is always best to go low and slow with edibles. If you are unsure of your tolerance with infused edibles, try a small dose first. It typically takes 30 to 90 minutes to begin feeling the effects of edibles. The effects typically last 2 to 4 hours.